Winner of the 2018 National Book Award for Fiction, The Friend tells the story of an unnamed middle-aged writing professor in the aftermath of her best friend and mentor's suicide. She is bequeathed his well-behaved beast of a dog and begins to interrogate her grief. ...[a] dry, allusive and charming new novel ... 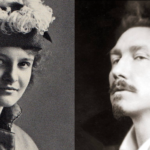 The writing profession, in The Friend, is viewed as a series of little murders of the soul. Writers are weird, jealous, greedy, backbiting, warped from the undersea compression of competition in Manhattan ... The Friend is thick with quotations and anecdotes from the lives and work of many writers, in a way that can recall the bird’s-nest-made-of-citations novels of David Markson. Nunez deals these out deftly; they do not jam her flow. The snap of her sentences sometimes put me in mind of Rachel Cusk. I don’t know whether or not The Friend is a good novel or even, strictly speaking, if it’s a novel at all — so odd is its construction — but after I’d turned the last page of the book I found myself sorry to be leaving the company of a feeling intelligence that had delighted me and even, on occasion, given joy ... The dog, the suicide, the writing life: These are the three strands of thought and feeling that make up the weave of The Friend. They don’t always mesh or make a satisfying design, but they are held together by the tone of the narrator’s voice: light, musing, curious, and somehow wonderfully sturdy ... The heartbreak inscribed in those final words fills the page to the margin and beyond with the penetrating loneliness—the sheer textured burden of life itself—that all of Sigrid Nunez’s fine writing had been at brilliant pains to keep both within sight and at bay ... From beginning to end, I thought myself engaged with what we now call the personal narrative. 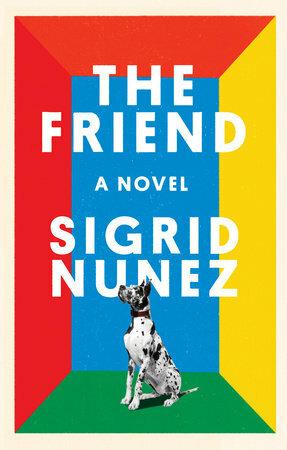 I was drawn to her [Sigrid Nunez's] sixth novel as a fresh addition to the literature of grief, but within pages realized The Friend has as much to say about literature as about grief, and was wondering how she'd slipped below my radar ... Nunez deftly turns this potentially mawkish story into a penetrating, moving meditation on loss, comfort, memory, what it means to be a writer today, and various forms of love and friendship — including between people and their pets. All in a taut 200 pages ...a mini-Nunez festival for me, which offered ample evidence that it's no fluke. In fact, this nuanced, exceptionally literary novel about devotion is a natural outgrowth of Sempre Susan...'The question any novel is really trying to answer is, Is life worth living?' As her narrator confronts multiple losses, Nunez's affecting novel probes the issue closely. What did you think of The Friend?